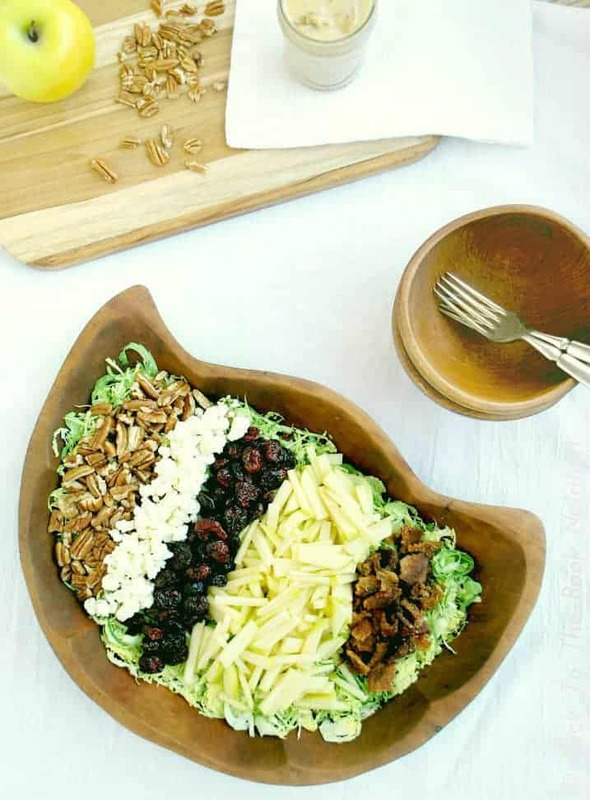 This recipe ticks all my favorite salad boxes, and then some: Fruit, nuts, cheese, bacon, and, the star of any good salad – a killer dressing. More on the dressing later. The base of this stellar salad is shaved Brussels Sprouts. If you’re already thinking of substituting them with more traditional salad greens, don’t. 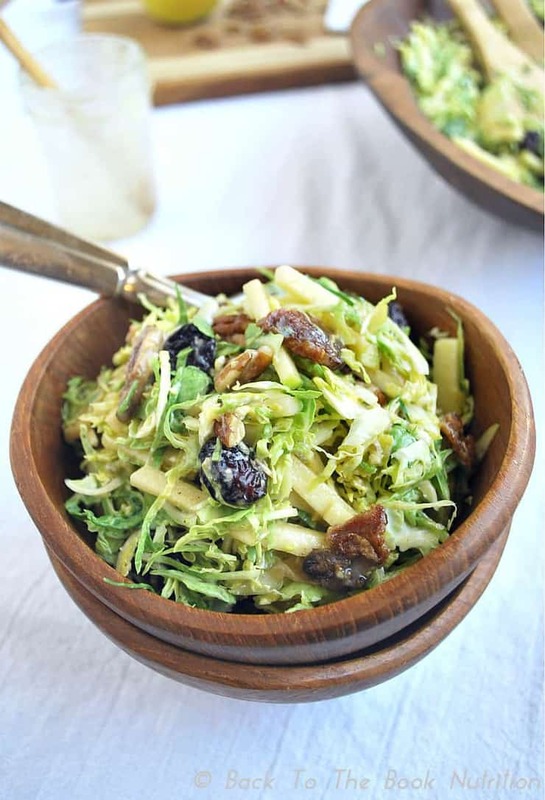 Shaved Brussels have a surprisingly light texture, and yet they’re hearty enough to hold up under a dressing for several hours or even overnight, more like a cabbage slaw – when you have a salad that’s this great, you definitely don’t want it wilting away on you! That feature really comes in handy here since this I’ll be carrying this to a pot luck dinner with our church group this weekend. Note: For those with thyroid disorders, I’d recommend limiting regular consumption of large amounts raw Brussels sprouts (and other cruciferous vegetables in raw form). However, I believe, based on the scientific literature, that occasional consumption of raw crucifers is not harmful to thyroid function, even for those with diagnosed thyroid disorders. 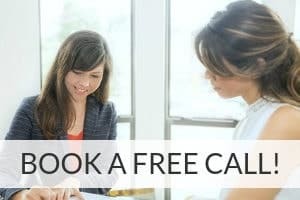 Read more about it here, and discuss it with your healthcare provider. I shaved the Brussels in a food processor in just a couple of minutes, but a knife and some elbow grease would work fine too. I’m also seeing bags of every type of shaved and shredded vegetable in the produce section these days, so feel free to take that shortcut if you’d like. Then, a quick chop of the apples and it’s on to the dressing. Warm, garlicky, bacon and shallot dressing. You’re gonna love it. This dressing is easily among my Top 3 favorite salad dressings of all time. Bacon, shallots, garlic, cream…how can you go wrong with that lineup? I’ll confess – it was me licking the spoon clean on this one, not the kids! It does require cooking, but those few extra minutes are what really makes this salad stand out. I’ve even been dreaming about how I can use this as a sauce in a main dish recipe – it’s just that good. 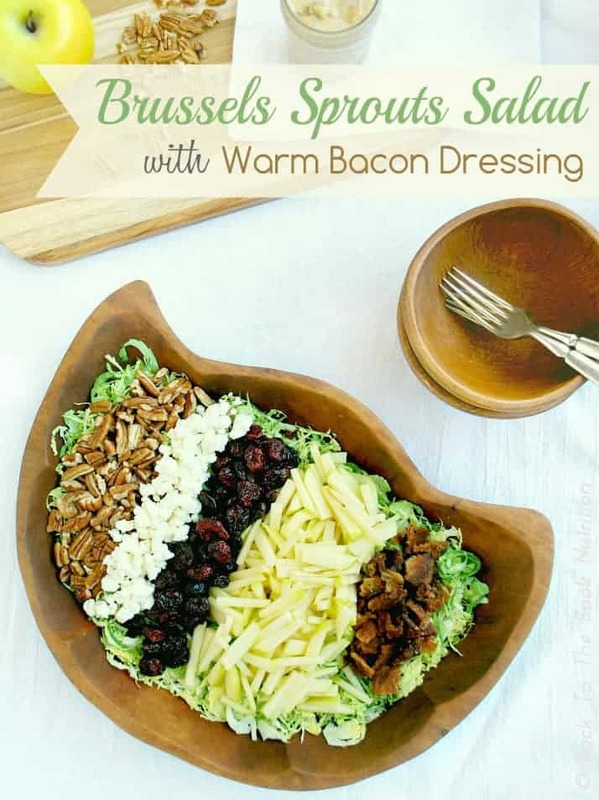 Once you’ve set aside the crumbled bacon for topping the salad, you just take that creamy, garlicky, bacony dressing and pour, baby, pour! You’ll be tempted to lightly drizzle at first, thinking it’s way too much dressing for this one salad bowl. But it’s not – trust me, it’s not. Just keep going til all you’ve got is a spoon to lick. Then grab your salad tongs and toss it all around – one big bacony group hug for everyone in the bowl. It’ll be so great. 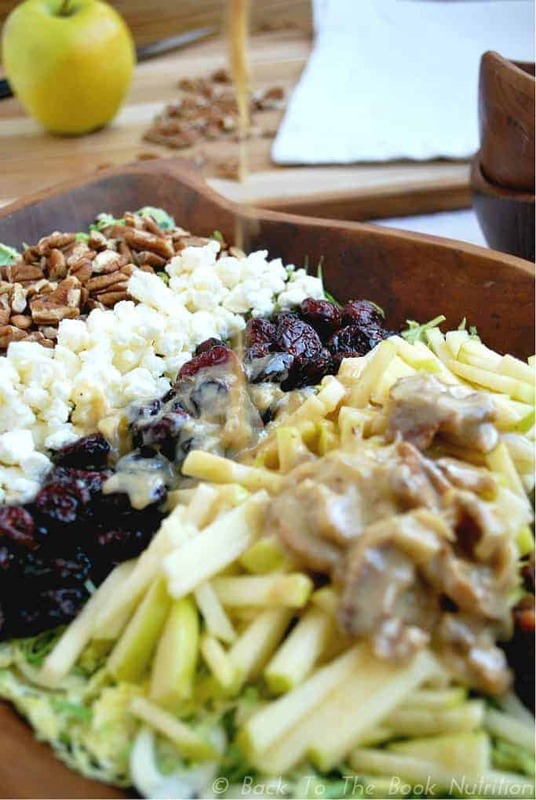 Easily one of the best salads I've ever had - Creamy bacon-shallot dressing over shaved Brussels, pecans, feta, cranberries, apple, & crispy bacon. Amazing! Brown the bacon in a large saute pan. Remove bacon from pan and allow to cool, then crumble. To the hot pan of bacon drippings, add garlic and shallots. Cook, stirring continuously, until golden. Remove from heat. In a large bowl or glass jar with a lid, thoroughly mix all remaining ingredients except cream fraiche and cooked bacon. Add this to the garlic and shallots in the saute pan. Return the saute pan to the burner, add and whisk gently over low heat until the mixture thickens just slightly. Add about 1/3 of the crumbled bacon while the dressing is heating. Once thoroughly heated and slightly thickened, remove the pan from the heat and stir in the cream fraiche. Add additional salt/pepper to taste. Serve warm. 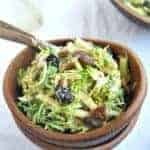 Remove stems and outer leaves from Brussels sprouts, then chop in halves and feed into a food processor, equipped with the slicing blade (Skip this step if using pre-shaved Brussels). In a large mixing bowl, toss all salad ingredients with the desired amount of warm bacon dressing (I used the entire batch of dressing). Top with a sprinkle of feta cheese (optional). This salad is best served fresh with the warm dressing, but holds up well when stored too. I really like to gently heat the leftovers to reawaken the flavor of the dressing! Are you loving the non-lettuce salad trend as much as I am? What are some of your favorites? Thanks, Raia – hope you love it! You will be featured at Savoring Saturdays tomorrow morning. Congrats! This looks absolutely delicious! Thanks, Christine – I hope you enjoy it! 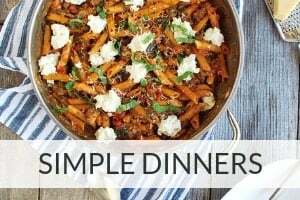 I don’t remember where I found this recipe, but I just made it and WOW is it good! And you are right, you should add all the dressing to the salad! Thank you for this! Thank you, Gay – I’m so glad you found the salad recipe, and appreciate the comment to let me know you enjoyed it so much!